Photo Credit Opening day in November of 2007 The Hot Metal Bridge in Pittsburgh, Pennsylvania was originally built in the 1880s to transport hot steel across the Monongahela River to rolling mills on the other side. This significantly improved business as steel previously had to be reheated. A century later and the bridge is now providing passage over the Monongahela River for bicyclists and pedestrians. A TE fund of over $6,500,000 was matched locally by $730,000 and went towards the removal of lead-based paint, to build a bridge over Second Ave., and to connect the bridge to the Eliza Furnace trail. 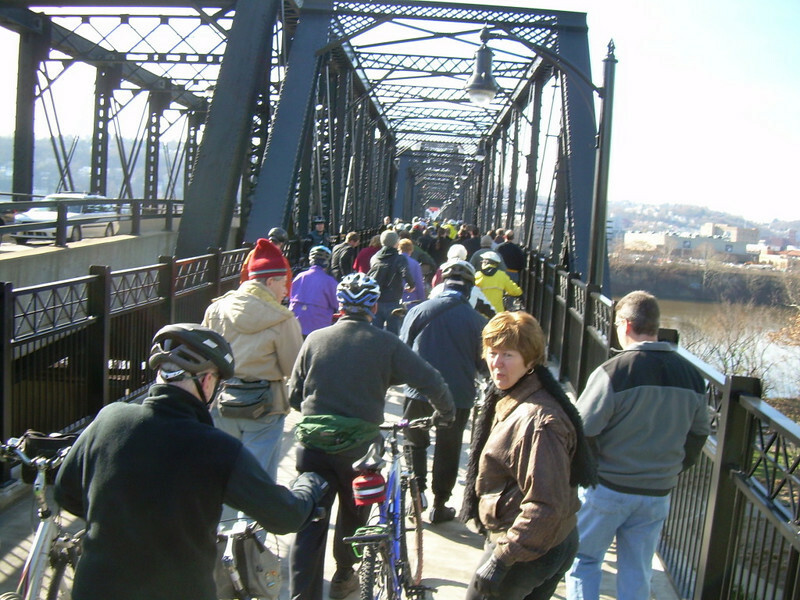 The bridge reopened in November of 2007 and is a vital connection to the Pittsburgh bicycle network.